When the inhabitants of natural world were threatened by the progressing civilization they needed a respite from never-ending exploitation by poachers. Eventually their preservation became an aspect of prime importance to the Government. They were concerned with the threat of extinction of some beautiful gifts of nature. In order to maintain the Ecological balance, numerous Wild Life Sanctuaries were created. One of them is Shoolpaneshwar Wildlife Sanctuary. 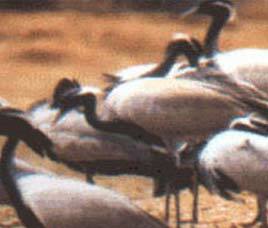 Shoolpaneshwar Wildlife Sanctuary, Gujarat located in Bharuch district is a wonder for the tourists. Stretching for miles aside the brackish water reserve in Gujarat this place is a veritable heaven for the birds and animals that finds a peaceful home here. Covering an area of 608 square kilometers, Shoolpaneshwar Wildlife Sanctuary in Gujarat boasts of its wide collection of leopard with a fastest running speed, wild sloth bear, hyena with its typical laugh, barking deer smaller in size than the ordinary ones, sambar and wild dog. The Sloth Bear of Shoolpaneshwar Wildlife Sanctuary with its typical auburn shaggy fur is an important member of the fauna family. Rhesus Monkey considered as ancestors of the human race are also found in abundance here. The Barking Deer or the oldest known deer also called Muntjac are integral pat of the fauna group at Shoolpaneshwar Wild Life Sanctuary.Resting amidst the beautiful floral background consisting of verdant greenery these animals are perfect denizens of nature, thriving in their own simple ways. The nearest railhead is at Ankaleshwar which is 60 kilometers from here. The nearest airport is at Vadodara, which is just 125 kilometers away from here. There are numerous guest houses here providing ample opportunity for recreation and entertainment. PWD and Panchayat Guesthouse also offer opportunity for comfortable accommodation amidst a tranquil ambiance.